We're almost two weeks into the new year, and hopefully you're still keeping all those resolutions…although I certainly wouldn't blame you if you've already skipped a pre-dawn workout or taken a sip of a caffeinated beverage. Wherever you are with your personal goals, I hope that together we can resolve to set our aims even higher as we carry out the land-grant mission. We accomplished much in 2017, and I know with a committed team of faculty and staff, many more successes are in store for 2018. In this newsletter, we'll recap a few of those 2017 accomplishments. Dr. Willie Hart and Dr. Mike Smith recently received national honors. Dr. Burt English was awarded a considerable grant from the Federal Aviation Administration. Dr. Neal Stewart's plant-based promoter technology was granted a nonexclusive license agreement. We'll highlight a food science project that combines research, education, and outreach in a food safety curriculum for middle school students. Learn more about technology assisting in early detection of the costliest disease in the US dairy industry. Get to know a new faculty member and meet the 2017 recipients of the Director's Awards for Outstanding Service. So keep reading, and if you have ideas for future newsletters, please let us know. Thanks for your contributions to AgResearch. Happy New Year! 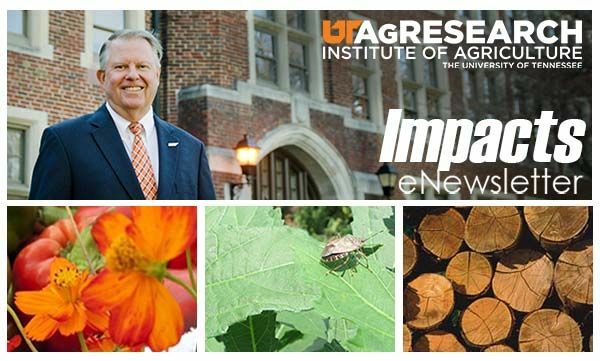 Each year, UT AgResearch honors employees who exhibit outstanding support service at our AgResearch and Education Centers. The recipients are nominated by Center directors, and a panel of three directors selects award honorees for their work performance, communication skills, and abilities in implementing and reporting research projects. Through the quality of their contributions, these are individuals deemed central to the research mission at their Centers. This year five staff members received this distinction, including Chris Bridges, pictured above. Click here to meet Chris and the other award recipients. 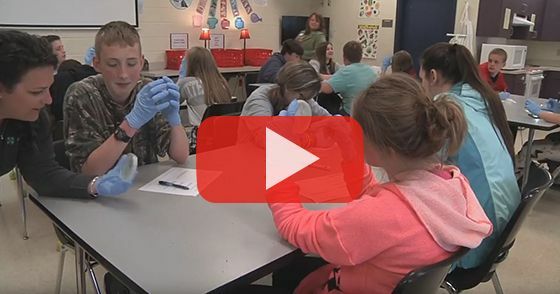 Hands On: Real World Lessons for Middle School Classrooms shows what can happen when research, extension, and teaching come together. This food safety curriculum was developed by Jennifer Richards, assistant professor in the Department of 4-H Youth Development. The program has already reached thousands of adolescents, and was recently licensed by the Grocery Manufacturers Association (GMA) Science and Education Foundation. This means even more students will soon have access to food safety training. Watch this interview with Dr. Richards and James Swart to learn more. Faculty 360 is an all-around look at a UT AgResearch faculty member. 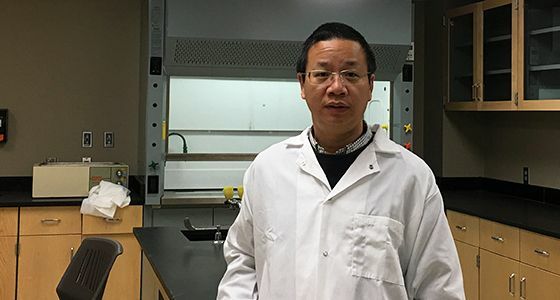 In this issue we feature Tao Wu, associate professor in the Department of Food Science. Dr. Wu joined UTIA last July and has a 75 percent research and 25 percent teaching appointment. 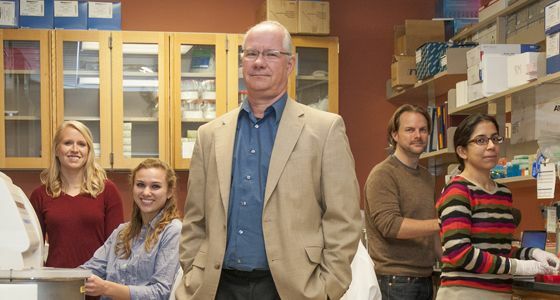 His research primarily focuses on food biopolymers and his teaching responsibilities include food analysis for undergraduate and graduate students. Read more to get to know Dr. Wu. Leaving on a jet plane? You’re not alone. With worldwide air travel projected to increase significantly, the Federal Aviation Administration (FAA) is in search of sustainable ways to meet the demand. The organization awarded UTIA a $225,000 grant to analyze the technology and market requirements to progress biomass feedstock through supply chains for the production of alternative jet fuels. 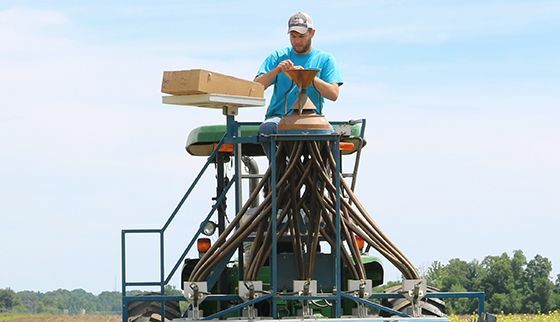 Burton C. English, professor in the Department of Agricultural and Resource Economics, will lead the project. Click here to learn more. Plant-based promoters developed by Neal Stewart, professor and Racheff Chair of Excellence in the Department of Plant Sciences, were recently licensed by Amfora, Inc., an agricultural company that aims to address global food challenges. Promoters are short pieces of DNA that control gene expression. 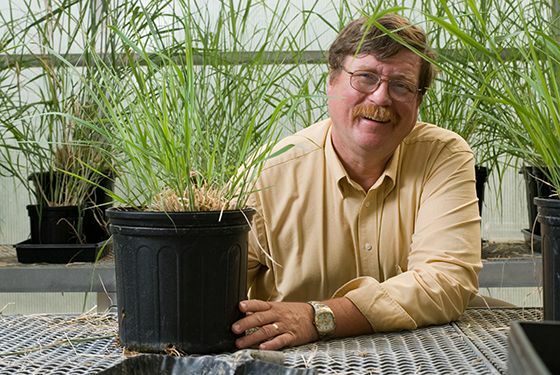 Stewart’s discovery of switchgrass promoters is significant in the world of genetic engineering because there are very few plant-based promoters available. As plant genetic engineering becomes more complex, more promoters are needed. According to Amfora, Dr. Stewart’s promoters show great potential to improve animal production and also the protein content of food crops. Read more about the license agreement. 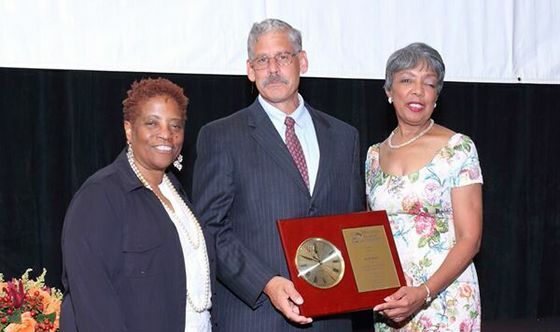 Willie Hart (pictured above, middle), associate professor in the Department of Biosystems Engineering and Soil Science, and Mike Smith, professor in the Department of Animal Science, were honored as Faculty Mentor Role Models at the recent Minority Access Incorporated National Role Models Conference. Hart and Smith were two of five faculty members selected from across the nation. They were found to be inspiring examples of success in a field underrepresented by minorities. Congratulations, Dr. Hart and Dr. Smith! Read more. Faculty in the departments of Forestry, Wildlife and Fisheries and Electrical Engineering and Computer Science have developed and licensed technology with the aim of reducing diagnosis time. 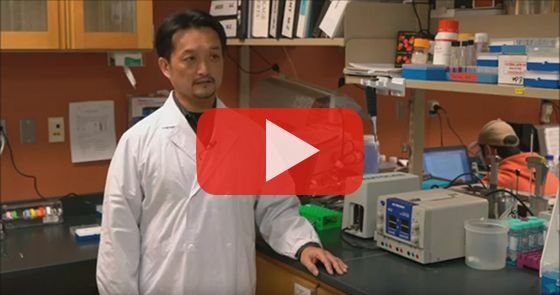 Dr. Shigetoshi Eda (FWF) and Dr. Jayne Wu (EECS) collaborated on the ABC biosensor project with the goals of reducing diagnosis time and increasing accuracy. Haley Dylewski, graduate student in Dr. Eda’s lab, also contributed to the project by working on an on-site method for detection of mastitis-causing pathogens. Versatility makes this technology unique and applications range from evaluating health conditions, environmental testing, and diagnosis of diseases in both human and animals. The researchers will continue product development to expand the capabilities of the device by working with Vortex Biotechnology Inc., a Knoxville-based startup company. Click to watch the video. The schedule of field days for 2018 is now complete. Click to see the list, which includes thirteen field days and four special events. New this year are a Beef Heifer Development School to be held in March at the Tennessee Beef Heifer Development Center, and in September, a trio of Horse Management Field Days—one for each region of the state. The UT Arboretum will also host a new Butterfly Festival in August.